Weekly messages from Pastor Marco Debarros, the pastor of New Life South Coast. With so much noise from everything in our lives, it's important that we're aware of the tricks that our minds can play in us. The arrival of Jesus is the greatest event in history. Pastor Marco continues the Christmas series. The arrival of Jesus is the greatest event in history. Pastor Marco kicks off the series with a talk about how Christmas is a lifestyle. We are giants of the faith. Pastor Steve Boyce joins the New Life Soco family for a talk about giant traits. Jesus has invited us to a personal relationship with Him, it's the ultimate invitation! Pastor Marco talks about the relationship that we're ALL welcomed to with Jesus. When God makes a promise, he comes through. Our job as believers is to be obedient to His Word. 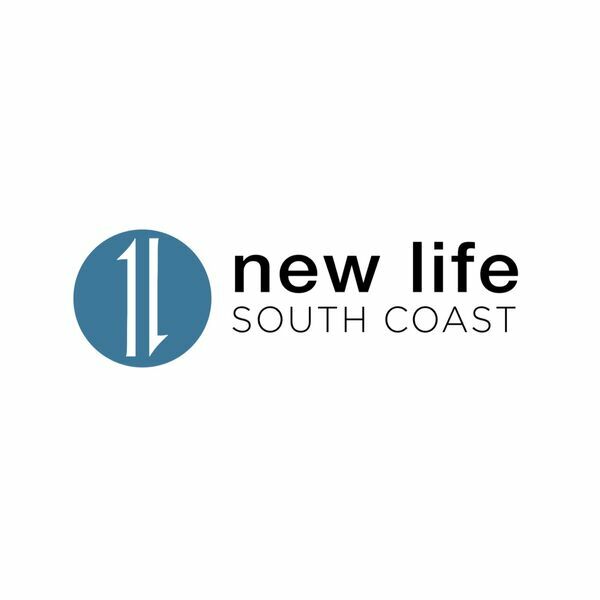 Pastor Stephen Mook joins New Life South Coast for a special guest talk. Part 2 of the "Let's Talk" series. Pastors Marco and Lindsey Debarros have a conversation around Jesus, the church, culture, and social media among other topics. Pastors Marco and Lindsey Debarros have a conversation around Jesus, the church, culture, and social media among other topics. We must never cease praying, in order to experience our breakthrough we need to persevere in prayer. We are either in a crisis or coming out of one. The Bible teaches us how to pray in a crisis. We all need breakthroughs in different areas of life. This is a practical teaching on how to pray for breakthrough. This is the conclusion to The Pattern of Prayer according to the Lord’s Prayer. We can pray with confidence, not because of how well we can pray, but because we know who we are praying to. Prayer is God’s idea. This is practical teaching on the purpose of prayer. We are in need of a new heart, and the Holy Spirit is ready to perform surgery on us. The Holy Spirit is our the ultimate companion in life. This is a practical teaching on how He leads us day to day. In order to live the Christian life, we need the power of the Holy Spirit. God designed local churches to permeate their cities with the good news of Jesus. The gospel is for everyone but not everyone is ready for the gospel. We are in a spiritual warfare and it's critical that we put on our spiritual armor in order to win the battles. This talk helps break down the lies that keeps us from loving ourselves the way God intended. And give us the tools to have a healthy perspective on loving ourselves. This message was so good, we wanted to give you two versions of it! We are in the middle of a warfare that has been going on since the Garden of Eden. God has given us tools to overcome the enemy of our souls. Jesus wants to give us a strong foundation for a well built life. This talk breaks down what it takes to have a well built life. God created us with purpose in mind. This talk breaks down the four main purposes of God for our lives. A happy life requires a spiritual mind. When we see things from above, we will have a better perspective in life. A submissive mind is a critical component to living a happy life. All content © 2019 New Life South Coast.